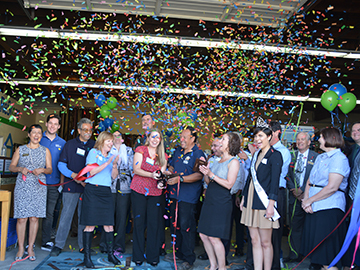 On April 24th, Habitat was joined by friends, volunteers, customers, and supporters at the official ribbon cutting for the North County ReStore! Thank you to Escondido Mayor Sam Abed, the Escondido Chamber of Commerce, Congressman Duncan Hunter, Assembly Member Marie Waldron, Supervisor Dave Roberts, and Erica Barnes, Miss Escondido 2014, for your support! Come and see us at 837 Metcalf Street in Escondido. You can also LIKE the ReStore on Facebook, and join our mailing list to stay informed about new products and special events! Volunteers are also needed in both ReStores, so sign up today!